Chinese are famous for cloning cars, mobiles,tablets etc. Today I found that they are cloning software also. Kingsoft Office Suite Free 2012 is a Microsoft Office Suite clone which as the name suggests if free. 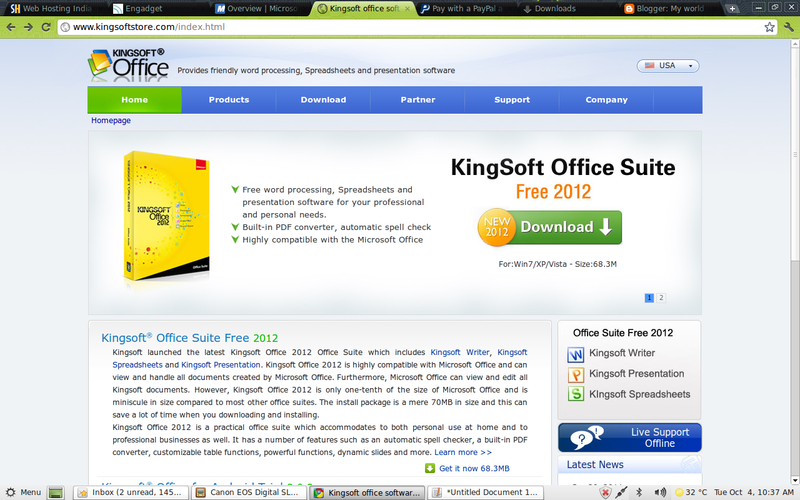 The entire software is only 68MB and still it has Word, Excel and Powerpoint clones. The interface looks similar to Microsoft Office 2003. A normal Microsoft Office Suite user won't even notice the difference but a power user will. The software is worth trying. They even have a version for Android as well which allows you to create, view and edit documents created by Word, Excel and PowerPoint files. Please not that I am not liable for any security or data breach happening due the usage of this application.